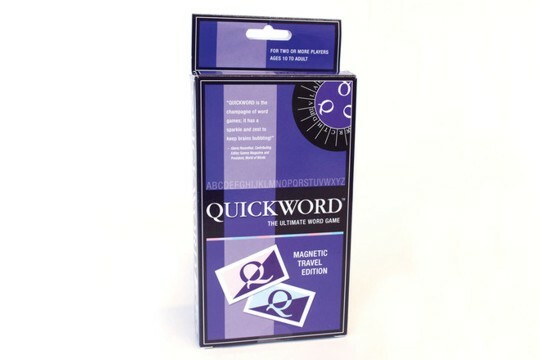 Quickword is a fast-paced board game involving a unique combination of word skills, logic, general knowledge and strategy. The goal is to list as many words in a given category as you can imagine in 90 seconds...but you only score points if you're the only player to have written that word! 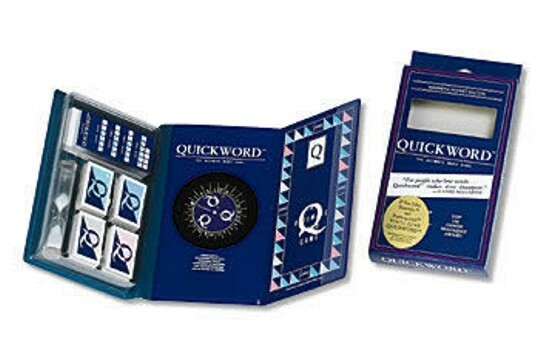 Quickword is the winner of the prestigious Whot Toy Award and a 3-time winner of Games Magazine 100 Best Games. For 2 or more players, ages 10 to adult, you'll feel challenged and have fun at the same time.